Myrtle Trace is a beautiful 55+ covenant restricted, very active, highly sought after community with a pool and club house. It is located close to the Conway Hospital, doctors offices, restaurants , shopping, golf course and much more. 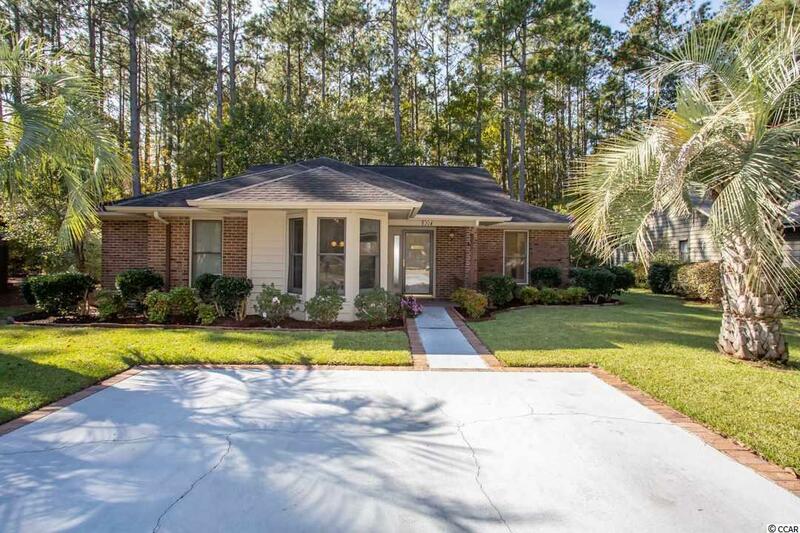 It is approximately 7 miles South to the beach and approximately 7 miles North to the quaint town of Conway. WOW, what a great location! This house has some upgrades such as a stove, dishwasher, hot water heater,both toilets and all new faucets. The 2nd bedroom can be considered a 2nd master suite with the master suite opening up into the lovely Carolina Room with lots of natural light. You can enjoy the privacy that the back yard and patio afford with nature all around you. Do not let the 2 bedroom and lack of garage stop you from looking at this great house. Visit Myrtle Trace web site (myrtletracesc.org) to read restrictions or learn more about this community. Directions: Take 501 North To Burning Ridge. At First Stop Sign Make A Left Onto Myrtle Trace Drive. Then Make A Right Onto Mayberry And 107 Will Be On The Right Side.